The Universal 32mm Upholstery / Dusting Brush Tool effectively cleans your furniture and curtains without causing any damage to the material. Designed to give you two types of cleaning tools in one attachment; the upholstery side is for curtains, draperies, cushions, fabrics and you can use the dusting brush to dust furniture, blinds, books, lampshades, shelves, and baseboards. 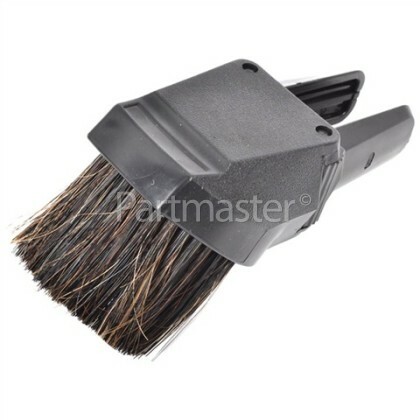 Usually it is hard to lift a vacuum onto your sofa, making the 32mm Upholstery / Dusting Brush Tool ideal for pulling dust and dirt out of furniture. Easy to fit; attach the tool onto the end of a crevice tool to use as a dusting brush. To use as an upholstery tool, simply turn over the tool and reduce the flaps on the opening, and insert the crevice tool into the brush end. Once the tool is fitted, you're ready to take on those dusty sofas, picture frames, furniture outlines, books and other uneven objects. 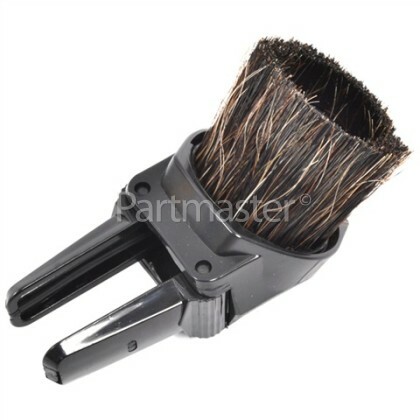 This is a universal 32mm Upholstery / Dusting Brush Tool that is suitable for vacuum cleaners that have a 32mm diameter hose connection, please check your vacuum connection fitting size to ensure that this product is suitable.